Hanging out at dog day care in Cardiff. Post Dog Walk in Cardiff Relaxation time! Our Cardiff Pet Care team has recently been taken over by our new pet franchisee Tania. Tania’s team of Dog Walkers and Pet Sitters in Cardiff come from a variety of backgrounds; students to retired people, ex police to ballet teachers. Our pet services are already proving to be very popular with pet owners in Cardiff and the surrounding areas. Our Cardiff dog day care and home from home dog boarding services are proving very popular as a great alternative to dog kennels in Cardiff. With our dog boarding services your dog gets to come and stay and live as part of the our pet carer’s family in their home whilst you are either our at work for the day or away on holiday. Our aim is to care for your pets as our own and whist they are having day care or boarding they will be in the house and cared for like part of the family so you can be happy they are in the best hands and having a great time. Our Cardiff Dog Walking team cover a wide area of Cardiff from Pontprennau to Lisvane to Cardiff Bay to Rumney. As with all of our pet franchises each team member is fully insured, police checked and referenced. This entry was posted in Uncategorized on April 24, 2014 by james@friendsforpets.co.uk. 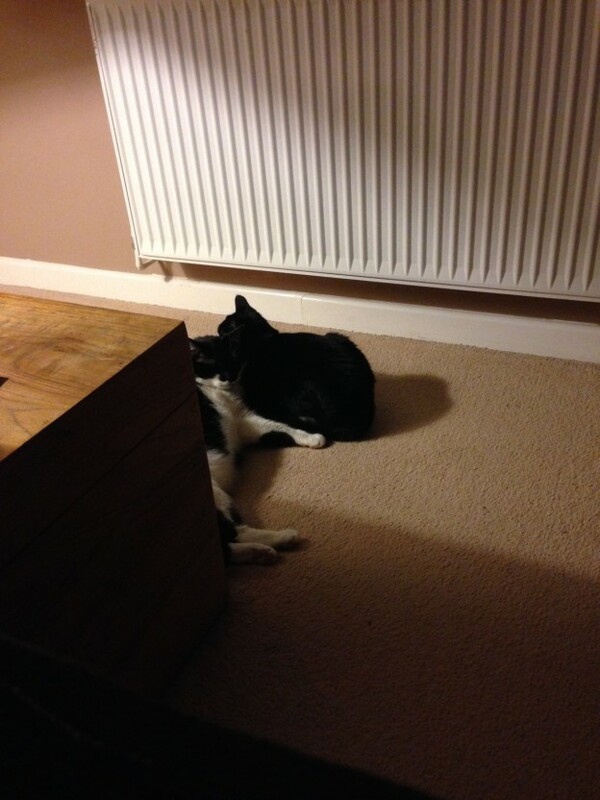 At FFP head office we have recently rehomed two cats, Bob and Bella. They are brother and sister from the same litter and came straight from a very loving home whose personal circumstances simply changed so that they were not able to keep them anymore. When they first arrived, as many of you who have rescued or rehomed cats will know, they were very timid and scared about things. Whilst Bella was slightly more brave, Bob spent the first few days hiding in the cat box he arrived in behind the sofa! Although I have heard about it many times, I have never before had first hand experience of cats being so stressed due to them having to change their environment. It then struck me that this must be what cats go through if they are put into a cattery when their owners go away. They must spend the first few days very worried about things. A cattery cannot even be compared to our cat sitting service for this reason. The cats stay at their home in their familiar surroundings where they feel comfortable and not have to go through the stress of changing environment and feeling worried about things. Obviously some cats will be well adapted to catteries but I for one would not consider a cattery when it comes to Bella and Bob’s holiday care! This entry was posted in Uncategorized on April 14, 2014 by james@friendsforpets.co.uk.